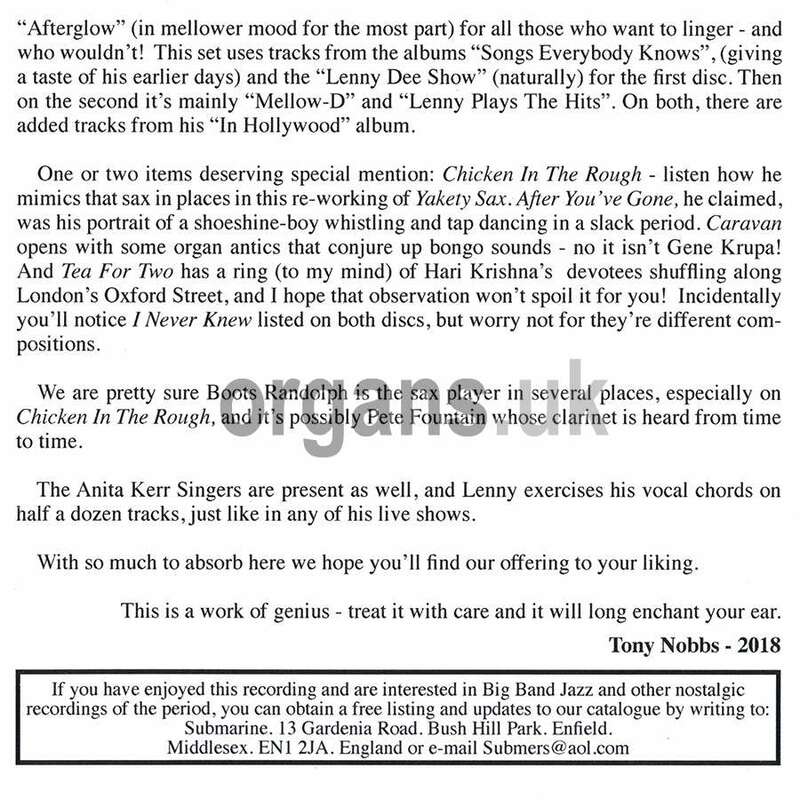 At his custom built Hammond organ. “A representation of his live show and the Afterglow”. 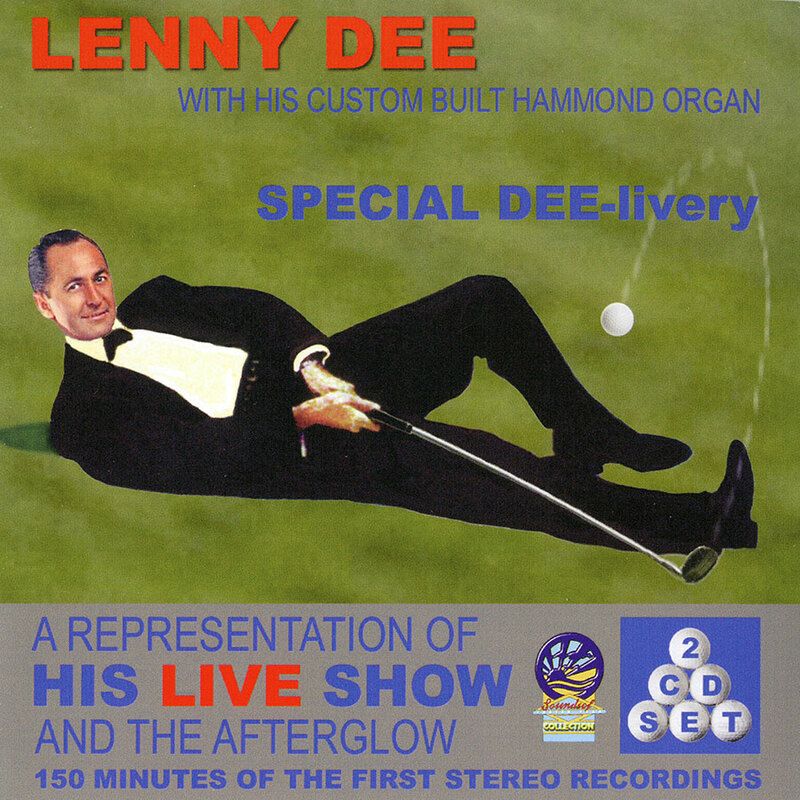 Two and a half hours of his first stereo recordings from the 1950s. Tracks taken from FIVE LPs (See Below for Details). The Saints Rock ’n’ Roll. 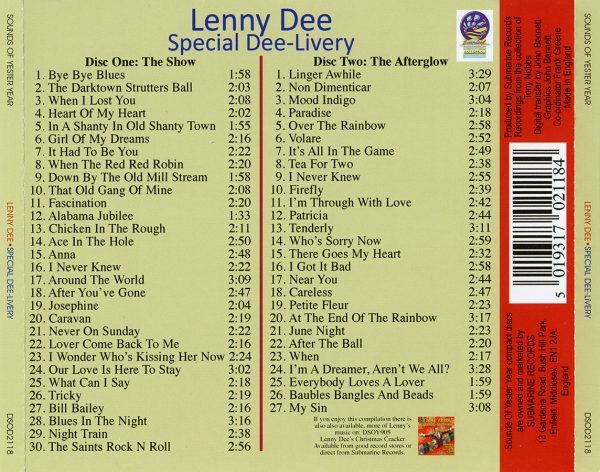 The LPs used in this set are as follows. Note: Five tracks have been dropped due to the maximum running time of CD discs. Released in 1958 (Complete LP). 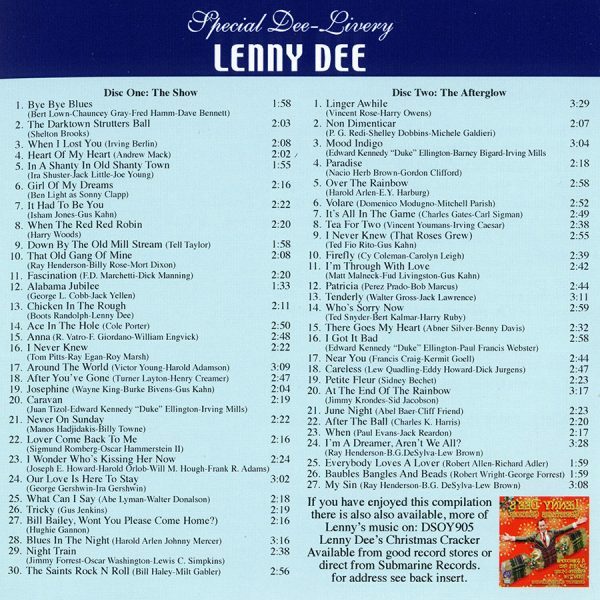 Lenny Dee Organ Solos with Drums. His first album recorded in Stereo. 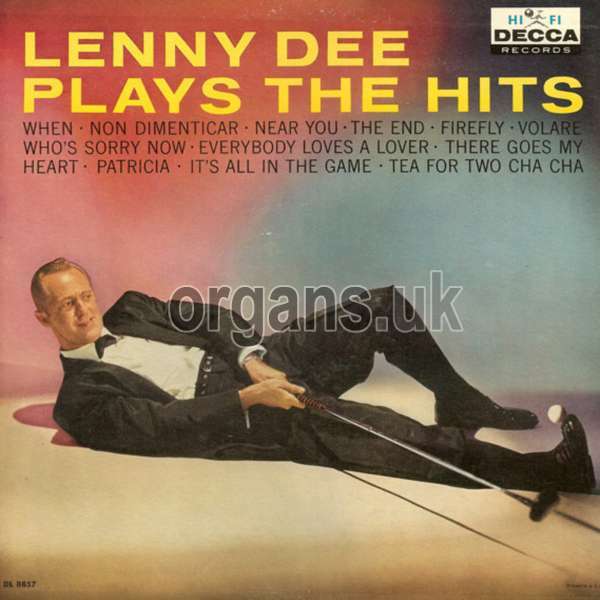 Lenny Dee Plays the Hits (Decca DL 78857). Released in 1959 (Complete LP). The Lenny Dee Show (Decca DL 78913). Released in 1959 (Two tracks not included in this set). 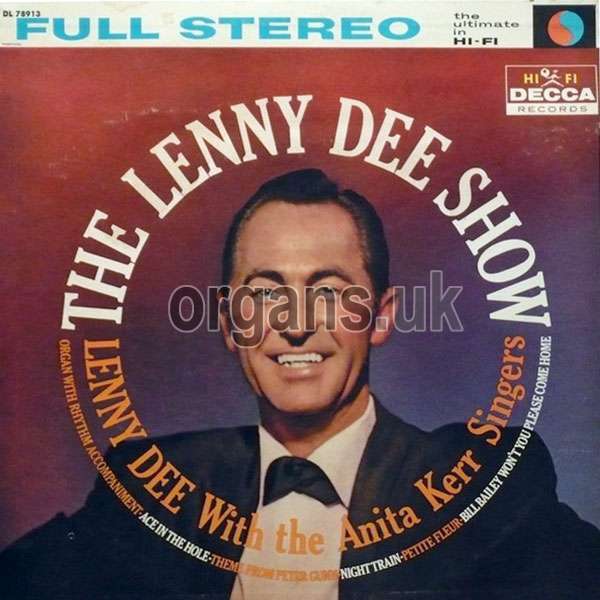 Lenny Dee with the Anita Kerr Singers. Organ with Rhythm Accompaniment. 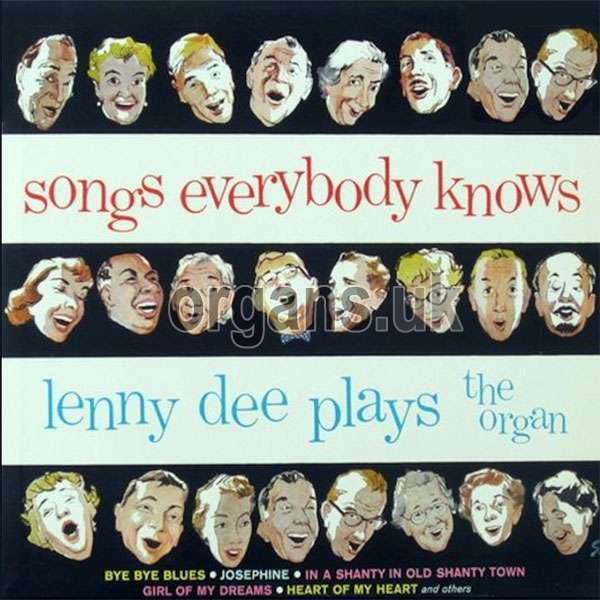 Songs Everybody Knows (Decca DL 78978). Lenny Dee Plays the Organ. 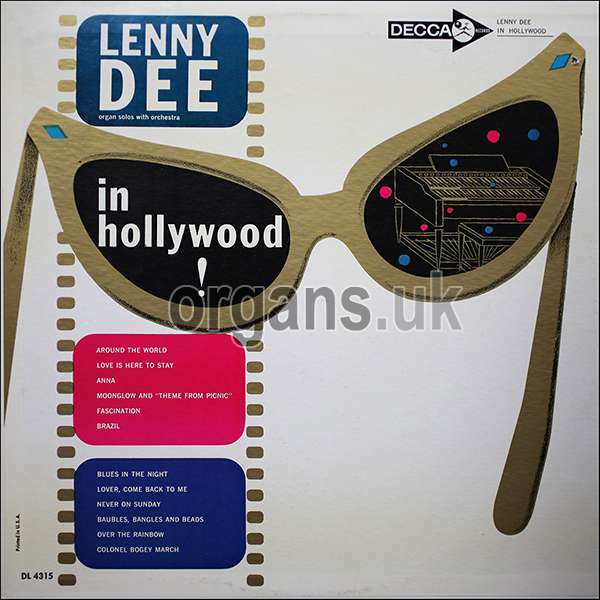 Lenny Dee In Hollywood (Decca DL 74315). 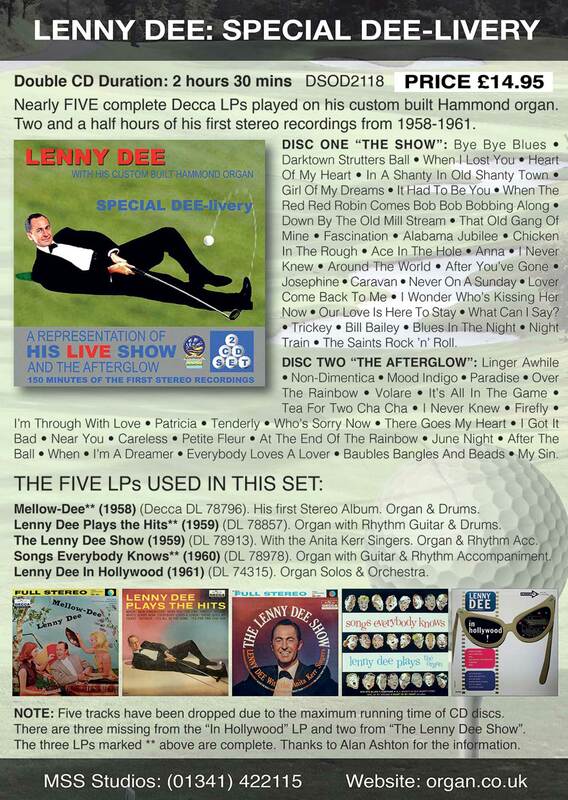 Released 1961 (Three tracks not included). 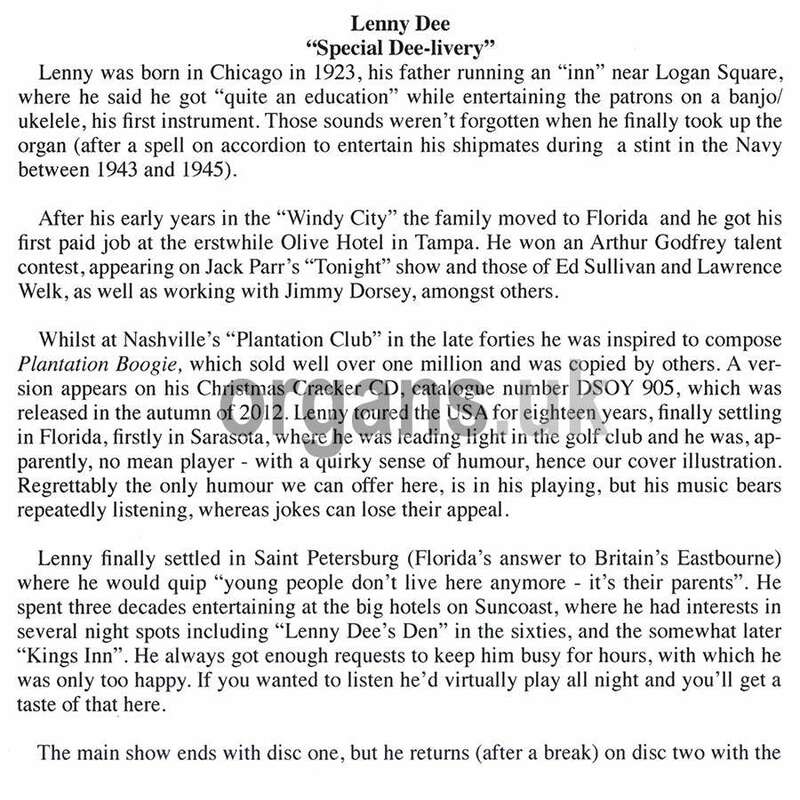 Colonel Bogey March (Was on the “Lenny Dee In Hollywood” LP). 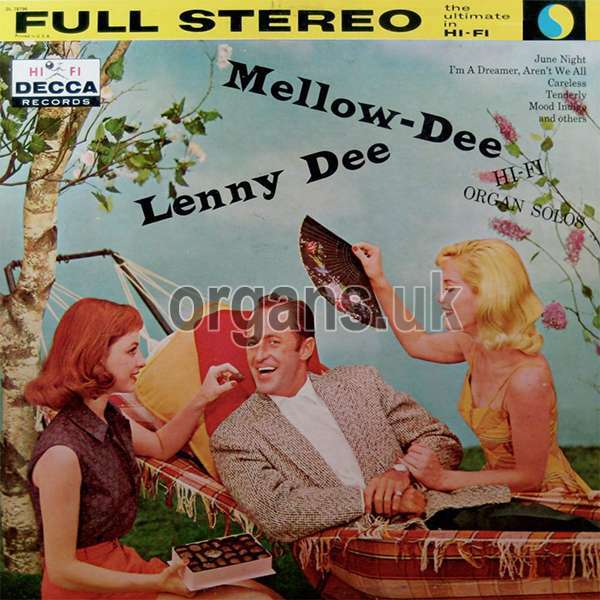 Moon Glow, and Theme From Picnic (as on the “Lenny Dee In Hollywood” LP). Brazil (as on the “Lenny Dee In Hollywood”). 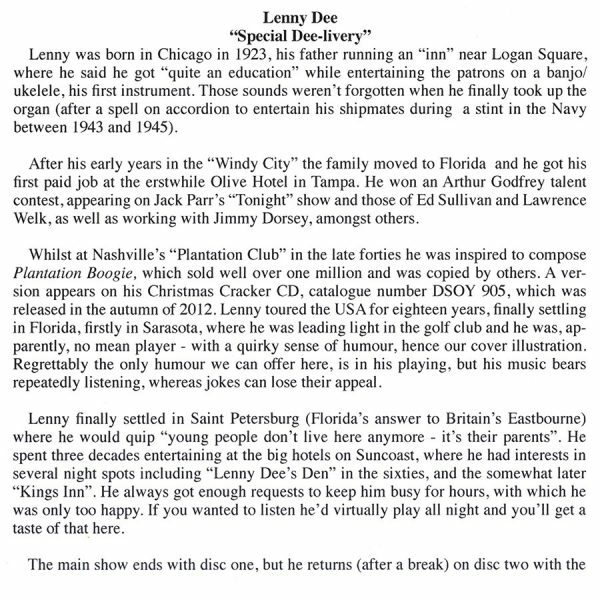 Plantation Boogie #2 (Was on “The Lenny Dee Show” LP). Peter Gunn (Was on “The Lenny Dee Show” LP). 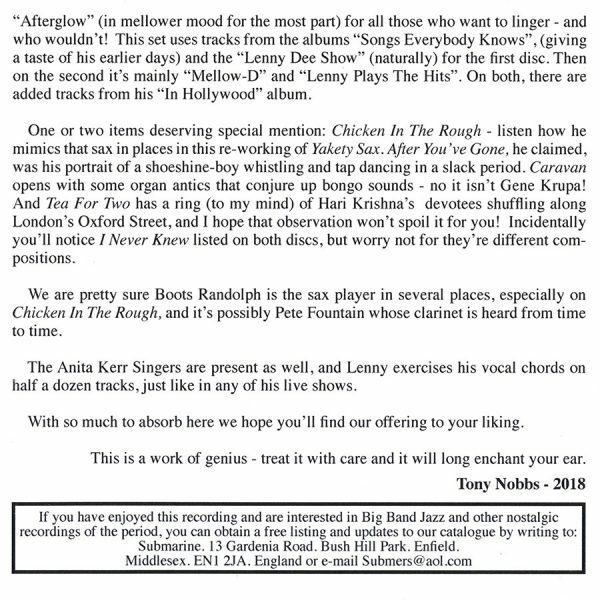 Thanks to Alan Ashton for the information.